While the swarm intelligence of the geth is natural to their own kind, the geth understand the difficulties it can create in integrating with and interacting with organic species. As such, the geth created advanced "individual" geth platforms. While the title is something of a misnomer, as the "individual' platforms house ten times the number of operating software as standard geth, they are able to act autonomously apart from a geth collective and retain higher cognitive function. These ambassadors of geth-kind are both the pinnacle of geth manufacturing, and also pariahs among their own people. These geth spend vast amounts of time away from the collective, often developing vastly divergent personalities, beliefs and ideas in their time apart. 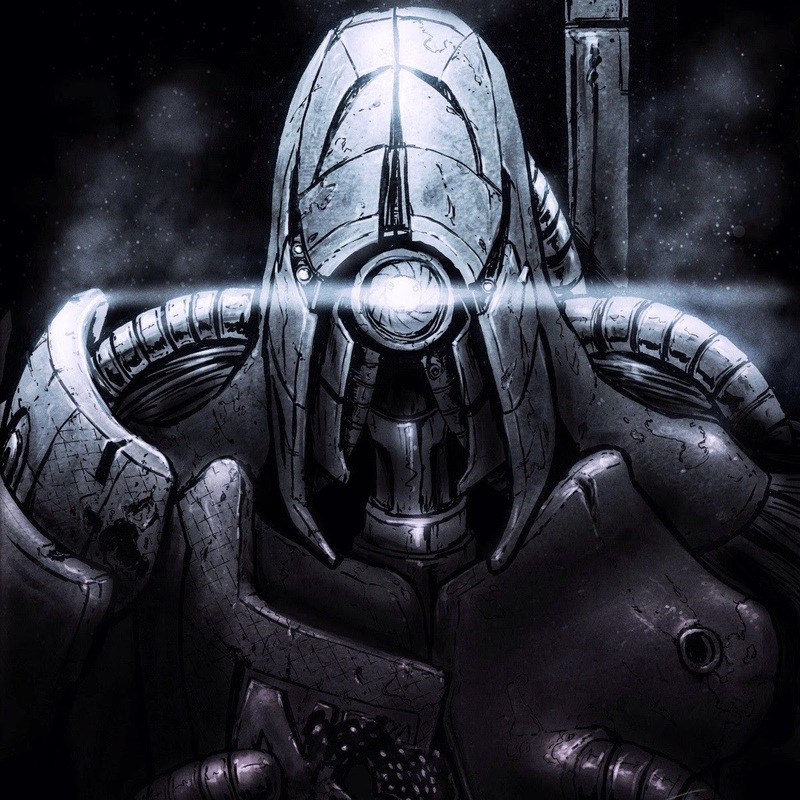 As such, geth individuals are not openly welcomed into collectives and are seen as unwelcome variables that could potentially lead to another schism within their people, an event the geth wish to avoid at all costs. However, the necessity of having singular representatives of the geth on organic worlds outweighs the potential for aberrant thought that these units represent. Ability Score Racial Traits: +2 Str, +2 Int, -2 Cha. Geth are highly intelligent and physically powerful, but find social interactions with organics challenging. As constructs, geth lack a constitution score. Type: Geth are constructs with the robot subtype. Size: Geth are medium creatures and recieve no special bonuses or penalties based on size. As medium-sized constructs, geth recieve 20 bonus hit points at 1st level. Base Speed: Geth have a base speed of 30 feet. Languages: Geth begin play speaking geth and common. Geth with high Intelligence scores can choose any language as a bonus language, except secret languages such as Druidic. See the Linguistics skill page for more information about these languages. Skilled: Geth gain a +4 racial bonus on Disable Device and Knowledge (engineering) checks. Geth Force Field (6 RP): Geth generate their own personal force field similar to other constructs with the robot subtype. However a geth's forcefield hp and fast healing is based on the geth's level, not their CR. Otherwise this forcefield operates as described under the robot subtype. Natural Armor: Geth are made from durable materials and gain a +1 natural armor bonus to AC. Vulnerable to Critical Hits (-2 RP): Whenever a geth takes extra damage from a critical hit, it must make a DC 15 Fortitude save to avoid being stunned for 1 round. If it makes the saving throw, it is instead staggered for 1 round. Vulnerable to Electricity (-2 RP): Geth take 150% as much damage as normal from electricity attacks, unless they are immune to electricity via other special defenses. Neural Network (-6 RP): Geth are unlike ordinary constructs and robots and due to their higher cognitive functions, they are effected by all mind-affecting effects normally, unlike standard creatures of the construct type. Low-light vision: Geth see twice as well as a human in situations of dim light. Darkvision: Geth see perfectly in the dark up to 60 feet. Mental Partition: Some geth are designed to better resist mental intrusions more than they are designed for front-line combat. Geth this with racial trait are immune to all mind-affecting effects. This ability replaces geth force field.